New Patient – We love our Patients ! We love our Patients ! As a new patient, you should download and print the application forms using the links below and follow these instructions. Review, print, and complete all New Patient Forms (Forms: Page 1, Page 2, Page 3, Page 4). Bring them with you to your first appointment. Arrive promptly for your visit. Bring your insurance ID card. Bring your physical exam forms, if required by work or school. Please bring records of immunizations, test results, or any other medical records you may have. List of current medications including doses and frequency. Allow 24 hours for refills to be processed. Contact your pharmacy directly for refills. Understand how your insurance works. We are preferred providers for many insurance carriers; however, it is best if you contact your carrier directly regarding your specific benefits. We require 24-hour cancellation notice of scheduled appointments; otherwise a "no-show" fee may apply. Bring recent insurance, test results, X rays, etc. At The Clark Health, we participate with most major insurance plans. We will gladly submit claims to your insurance plan on your behalf. For new patients or new insurance plans, we recommend you call your insurance company to verify our physicians participate with your plan. Please bring your insurance card with you to each visit so we can ensure that our records are accurate. Please notify us if you have any change in name, phone number, address or insurance plan as soon as it occurs. Payment of all co-insurances, co-payments, deductibles, and past due bills are due at time of service. Additionally, if you do not have insurance, payment is required at the time of service. 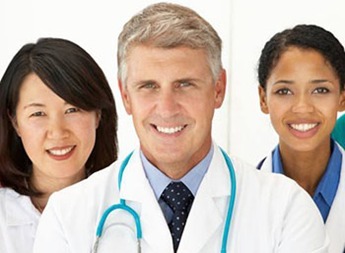 Note to new patients: please remember that if you are with an HMO or PPO, you must contact your insurance company and change the name of your primary care physician to Lowell F. Clark M.D. If you do experience a life-threatening emergency, please dial 911 immediately. If you have an urgent matter after hours and need to speak to the physician on-call, Please dial 352-793-2441 to reach our on-call provider. Medical records are confidential. We will not release information about your care to anyone, including other family members, without a signed release. Ideally, prescription refills are best handled at your regularly scheduled office visit. This allows us to review with you proper dosages and any potential problems. With this in mind, we are requesting that you bring all your current prescription medications to each routine appointment. This will allow us to properly manage your medications and refills. Some medications require laboratory monitoring and this is best documented during your office visit. We encourage you to schedule your follow-up appointment at the time of your office visit. Hopefully, this will prevent you from running out of needed medications at inconvenient times. Our current policy is to no longer refill standing medication (i.e. cholesterol, blood pressure, diabetes, etc.) except at the time of a regularly scheduled appointment. Your cooperation is greatly appreciated. Our office e-prescribes all medications directly to your pharmacy except controlled substances which must be a written prescription. Clark Health reserves the right to deny any prescription refill requests. Requests for refills of narcotics will not be accepted or approved using this online service. All requests for refills of controlled substances require an appointment with your physician. The Clark Health DOES NOT provide emergency health care assistance via its web site. If you are having an emergency, please call 911 immediately. One of our providers will order a referral for you. The specialist office should contact you within 3 days. If you do not receive a call from them, please call the specialist to schedule. If your referral requires an authorization, our referral coordinator will obtain the authorization and notify the specialist office. Our referral coordinator will notify you if your authorization has been denied and what will happen next. There may be services your provider orders that he/she deems medically necessary for your care that are not covered by Medicare or your insurance plan. We will do our best to advise you before you receive these services that there is a possibility that it might not be covered. You will be asked to sign a statement verifying that you will be responsible for the associated charges should Medicare or your plan not cover them as part of your insurance plan.